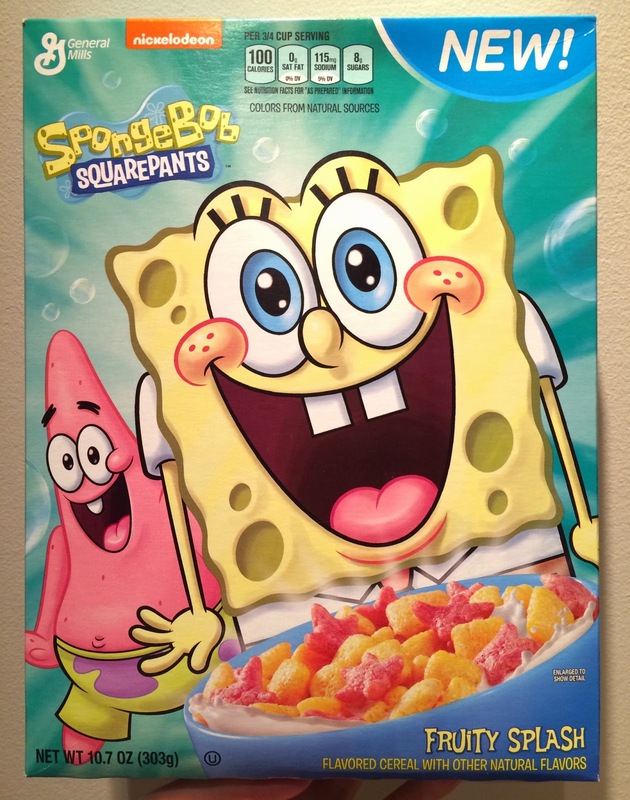 We found "SpongeBob SquarePants Fruity Splash Cereal" at Target about a month ago. It's my first time to see this popular character's cereal. It says "NEW" on the right top, but some links showed it's been available since 2014. Details about SpongeBob, please see SpongeBob Ice Cream. On the side, it says the first ingredient is whole grain, and per serving contains 16g of whole grain and 12 vitamins and minerals and it's 100kcal. 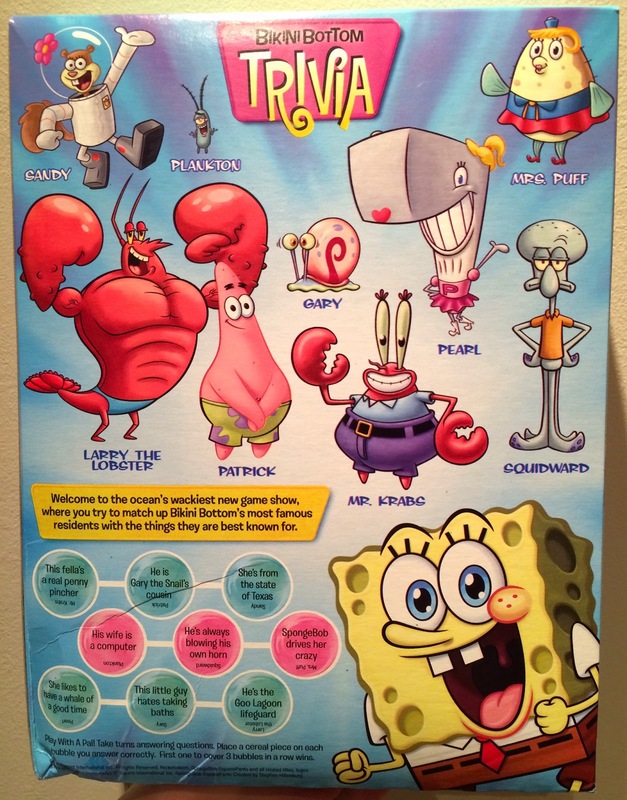 On the back, there's Bikini Bottom Trivia to match the characters and short descriptions that they're best known for. * Bikini Bottom is the place where SpongeBob and other residents live and located in Pacific Ocean. 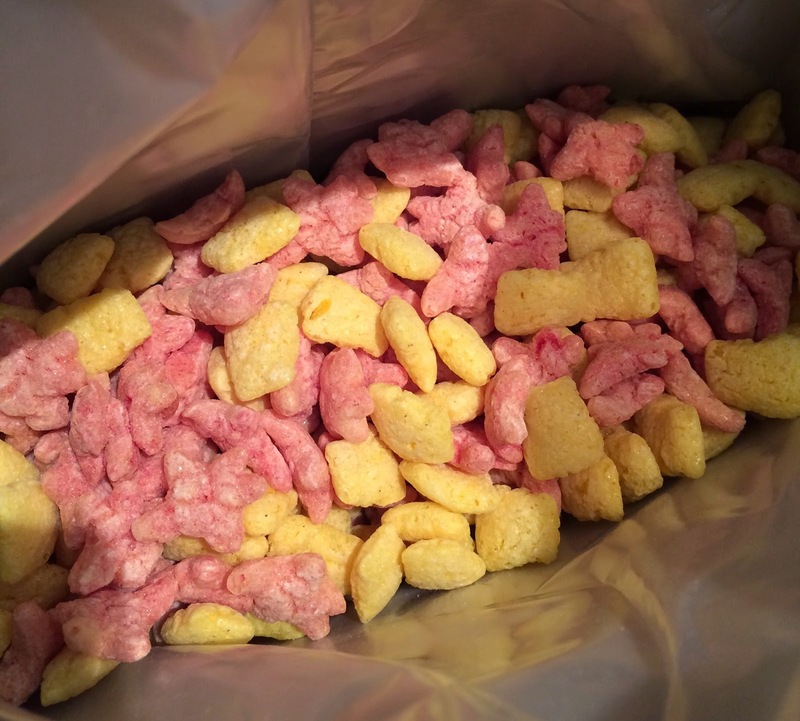 In the bag, there're yellow and pink cereals. It had sweet scent like syrup and the characteristic fragrant scent of whole grain, but no fruity flavor I was hoping for. 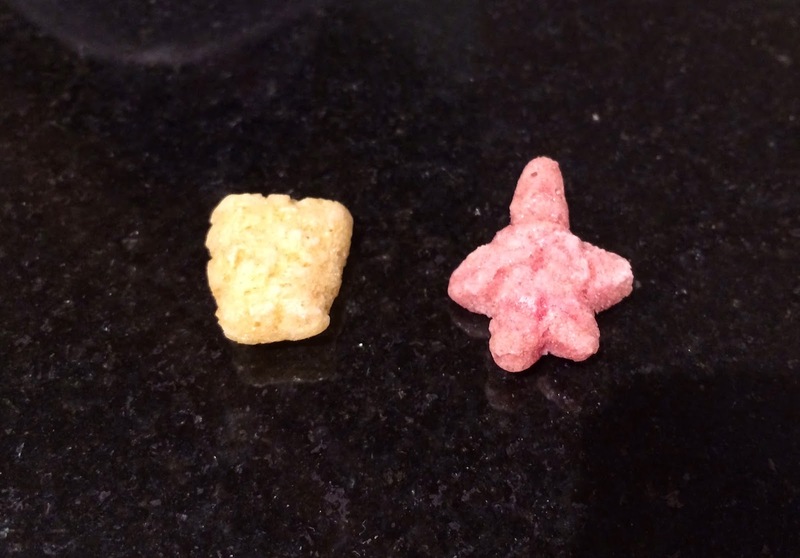 The yellow cereal was SpongeBob's face and the pink star was Patrick, I assume. 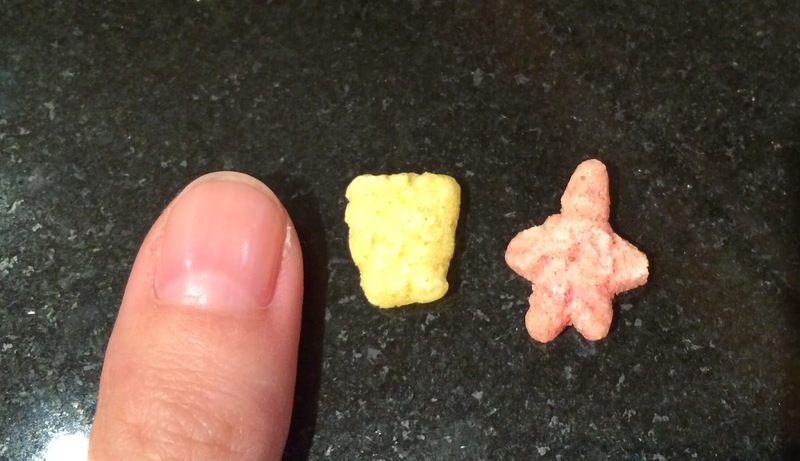 Each cereal was about same size as my thumb's nail or smaller. It had shiny surface from the syrup and it's light and crispy. I didn't notice till my husband mentioned, but it had pineapple flavor and on the ingredients list, pineapple juice concentrate was included. My husband guessed that the reason they used the fruit juice was because SpongeBob lives in a pineapple house under the sea. It's got an enjoyable sweetness but I'm surprised how low calorie and nutritious it is.